BONangels aims to take care of the communities that service our hotels, to establish a society of guests and staff who want to give back and build a platform that allows us all to do something for others less fortunate. Be an Angel and join our network of good people! We truly do care and we know our guests care too – together we can make a difference to the community, the environment and the good people of this world. 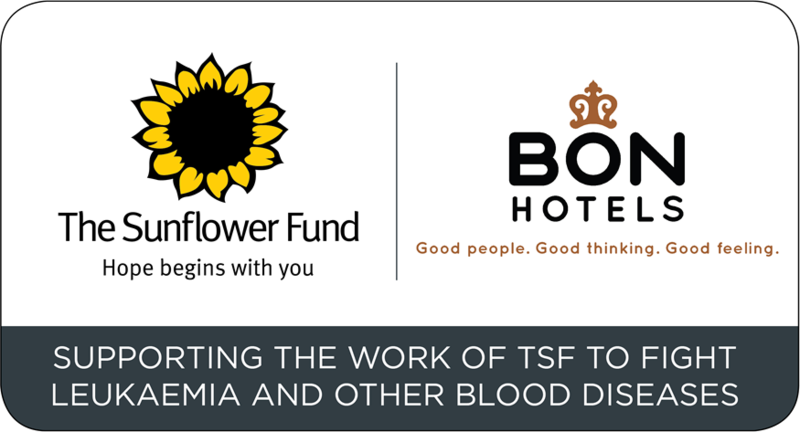 The Sunflower Fund is a donor recruitment centre and registry. They fight blood diseases like leukaemia through the recruitment of stem cell donors and maintaining a registry of potential donors committed to helping anyone in need of a life-saving stem cell transplant. They raise funds to cover the cost of education and awareness about the need for and the process to become a blood stem cell donor, as well as to cover the cost of the HLA tissue-typing test involved in the recruitment of donors. The Sunflower Fund also maintains a patient support fund to assist patients who are unable to afford costs associated with getting to transplant, as well as being actively involved in creating a platform for support structures to assist patients, families and communities.